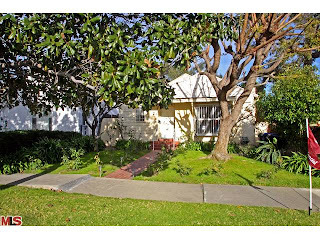 The Westwood home at 2170 Linnington Ave LA CA 90025 lasted about 54 days on the market before accepting an offer on 3/05/13. The home spent about 6 months on the market in 2012 with a higher price of $799,000. In 2013, the home was relisted at $749k and sold without needing another price reduction. This is a fixer type property and is located at the corner of Linnington and Olympic. On April 3rd, 2013, the home sold for $708,000 |$546 $/sf|. According to the MLS, the home is a 3 bedroom / 2 bath, 1,296 sq ft of living space on a 4,935 sq ft lot.